Tropicana and Hard Rock casinos are hoping to become a part of the mix of casinos in New Jersey that would be allowed to provide sports betting services as a part of their offerings. 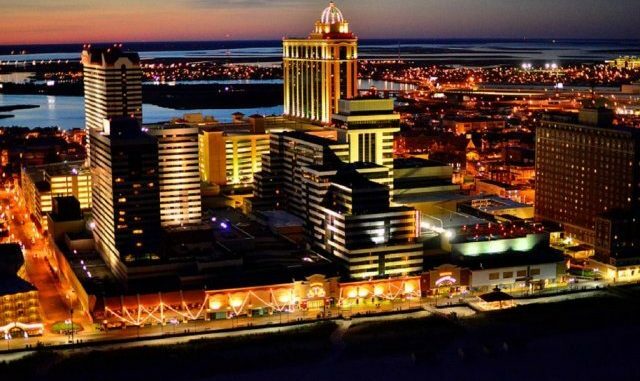 The sports betting market in New Jersey will likely expand as two casinos from Atlantic City have submitted petitions to the NJDGE in order to start operations related to wagering. The gaming regulator from New Jersey disclosed the documents that show how Tropicana Casino Resort and Boardwalk 1000 LLC, which is the branch of the Florida-based hospitality (and gaming) company known as Hard Rock International, submitted the petitions and want a green light in order to start operations that include sports betting. This piece of news about the two casinos being interested in a licenses came shortly after the gaming commission from NJ published the results related to wagering. According to their numbers, the revenue generated in September in this country solely with sports betting is $24 million. When all the wagering is taken into account, September saw a total of $184 million in wagers. Tropicana and Boardwalk 1000’s petitions want these two casinos to start sports pool and online sports pool operations. At the moment, there are nine casinos in AC and six are already offering some kind of sports betting. If Tropicana and Boardwalk 1000 join the group, Caesars will become the only one that did not follow this recent NJ craze. It all started on May 14 when the US Supreme Court ruled against the federal ban on sports wagering. It seems that the residents of New Jersey couldn’t wait to start betting on sports, which is clearly visible from the documents published by the gambling commission of the state. New Jersey was the second state that said yes to launching sports betting. As soon as the ban was lifted, NJ lawmakers approved all requirements for sports betting to start. In fact, the first sports wager was placed in New Jersey only a month after the ban was lifted – on June 14. Tropicana has been preparing for the introduction of sports betting since before the SCOTUS decision. This came as a logical consequence of Carl Icahn selling the parent company- Tropicana Entertainment Inc.- to REIT Gaming, Leisure Properties, and Eldorado Resorts. It was sold for $1.85 billion earlier this month and it was a logical time to start making changes, starting with the introduction of sports betting. The residents of New Jersey have a great period ahead of them. They will be able to have a wider selection to choose from regarding the sports betting operator that they like the most. If you happen to be in this state, make sure to place a bet or two on your favourite team – it’s the most exciting way to watch sports!